If you happen to be in Singapore at this point in time, March 10 - 13, 2011 ...Consider yourself as a lucky tourist. 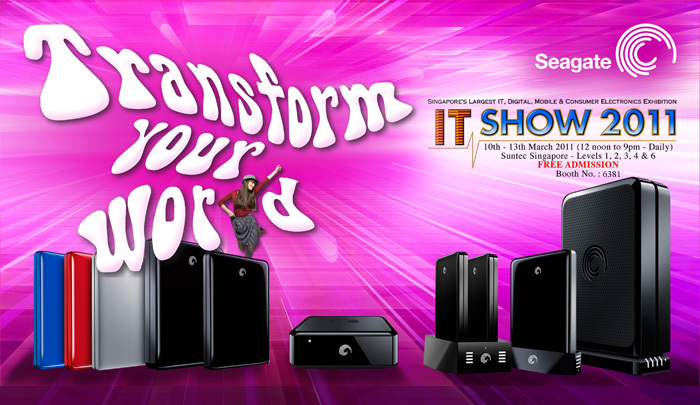 Try visit the IT Show 2011 at Suntec Singapore. Alight at Cityhall MRT Station and follow the sign "To Suntec"...it's a 15min walk from the City Hall MRT Station.